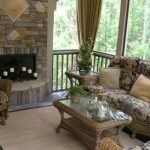 Choosing window treatments for a room, especially one furnished with wicker, can pose problems for some home designers. 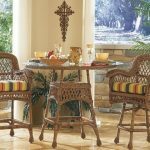 Beyond a theme and a color palette for the space, it becomes a matter of designs to set a mood and to complement the beauty of rattan and bamboo cane framing or the texturing of woven furnishings. From a tropical retreat to a lodge setting or even the brightest sunrooms, the materials that go over windows remain a large part of the interior landscape. 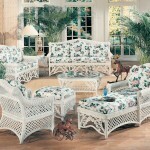 Cottage, beach and shabby chic decorating styles often encourage a lighter, airier feel. 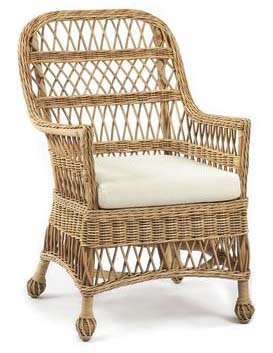 Wicker furniture tends to be natural or painted in pastels and whites to accentuate this look. That means decor at the window should be textured or colored accordingly. Faux and wood slat blinds work well by themselves in many rooms. They should be white, off-white or in a natural stain. Swags or curtains in sheer fabrics can eliminate the bland uniformity that blinds produce. Voile is a see-through choice while poly-cotton linens add a breezy look with a little more privacy protection. For an eclectic look, drape a vintage lace shawl across the top or to one side as extra layering. Up close or at a distance, their weight is always in balance with casual decor. With lighter fabrics, gathered tops are relaxed while structured valances and paneled sides add hints of formality. Some decorating themes work beautifully with heavier fabric window treatments and darker blinds or shades. 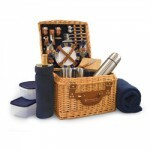 Canvas cloth is ideal for a cabin or lodge setting and requires no fancy hardware other than rings attached at the tops to slide over a rod. Select wider horizontal slats or decorative rollups rather than the slenderized construction of matchstick blinds. 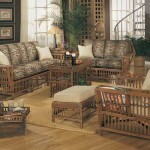 Bamboo shades in a medium or darker stain can give the room a bolder look that pairs well with wicker. 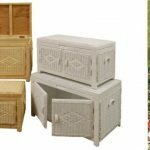 Any of these styles will complement rattan and wood furnishings. French country decor is one that encourages the use of florals along with heavier fabric choices. 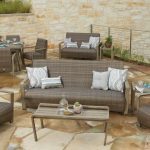 Mixed carefully with cushion patterns on wicker furniture, this pairing creates just the right balance of busy color and inviting comfort. 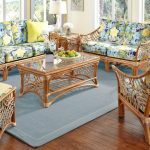 Window treatments for tropical plantation settings include shuttered insets while draperies in silks will be a stunning match for large-scale rattan framed seating. 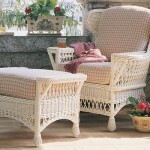 Victorian themed wicker with its more elaborate patternry is a perfect accompaniment to tapestries or brocades. Layering at the window adds dimension and an opportunity to change colors. As an eye-catching topper, a simple or more detailed rod above interior-mounted blinds or shades allows for easy transitions with the seasons or with the mood. Floor to top swags are elegant drapery choices that can dip in the middle or simply rest to one side, adding an asymmetrical look. As a decorative component that draws focus to windows, short and long swags can coordinate with a variety of blind and shade styles. Almost every window requires some kind of treatment for privacy. Without draperies or blinds, windows can also look a bit naked. Sprucing up a room with some type of covering is a quick update that makes a big change in overall style. With so many wicker frame styles and finishes available today, adding window treatments is both fun and challenging. From traditional Victorian spaces to the bright breezes of a tropical retreat, there are many combinations that will give any space more personality. 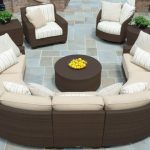 Outdoor Furniture with Built-in Protection?